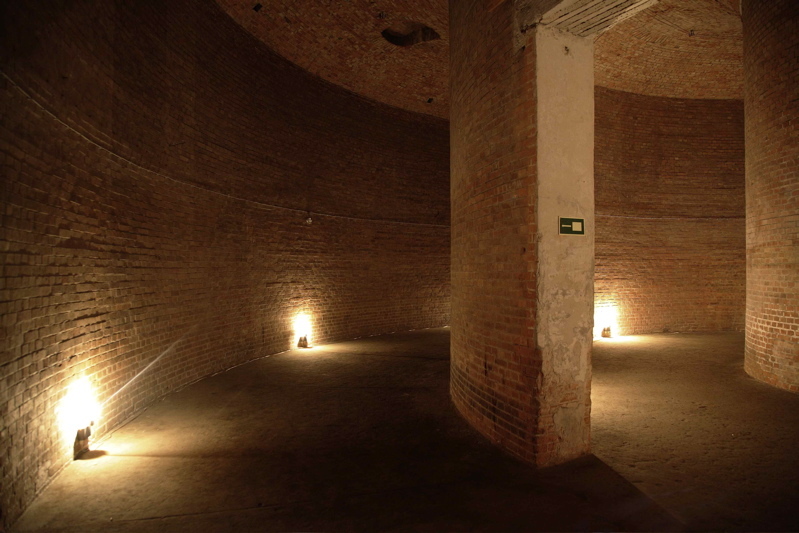 The propagation of sound in the rings of the water reservoir of Prenzlauerberg in Berlin is the starting point for the installation. The acoustic sound in the space is being picked up, transformed and re-entered in the space. The transformations, delays and spatial interconnections are part of a time based process that can be seen as a composition for the environment. 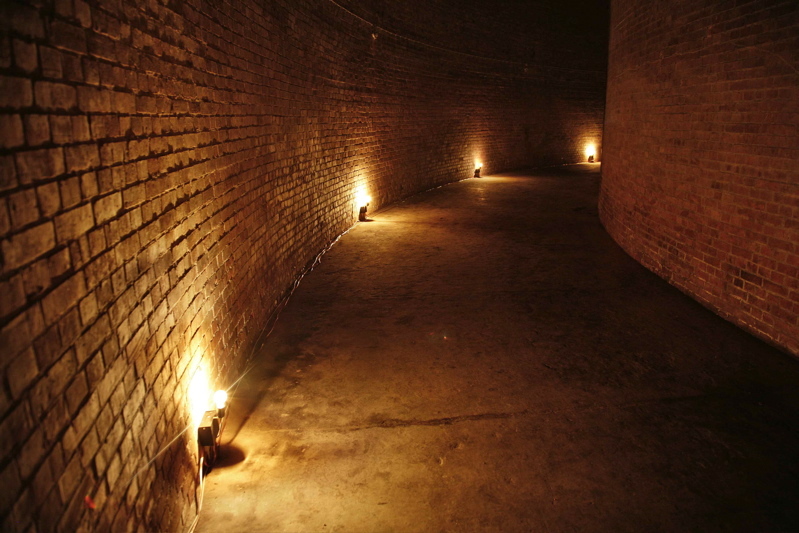 The audience experiences the space reacting on itself while being inside and part of the sonic environment. The result is a dynamic environment of oscillations and transformations. Parallel to the sonic environment there is a setup of light bulbes each equipped with a light sensor. 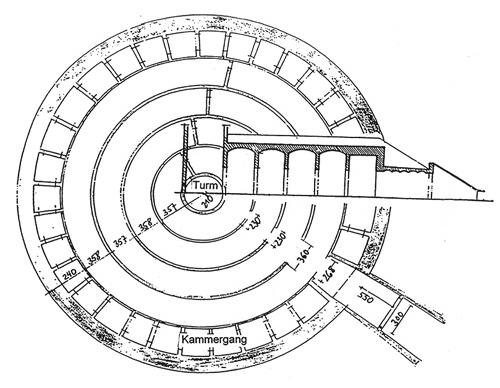 The underlying principle of the light is similar to the principal of picking up and re-entering the sound in the space in the sense that the intensity of a light bulb is the result of the measured intensity of the neighbouring light(s). It's the delay of the filament in the light that's warming up and cooling down that results in the time based visual patterns.